RTA's mParking service (mParking) is a new value-added service that will allow motorists to pay for their virtual parking permit using their Etisalat and Du mobile phones by simply sending an SMS in a pre-defined format to 7275 (PARK) thus eliminating the need to walk to the Payment Display (P/D) Machines and search for coins. The mParking service also alerts the motorist via an SMS prior to virtual permit expiry and if needed the motorist can extend his/her parking period from his/her office or home without having to walk to his/her vehicle. In order to make the SMS format easy, registration will be not be required for Dubai registered private plate numbers starting with the alphabet character A-K & M whilst all other motorists who own a non Dubai private registered plate number MUST register to use the mParking service. No hassle to find a parking meter and coins. No worries about remaining parking time, with reminder alerts via SMS. What is mParking? Pay your parking fee by sending an SMS message from your mobile phone. RTA's mParking is the most flexible way of paying your parking fee with your mobile phone and receive a virtual permit via SMS. How do I use mParking? You need to register with the mParking service. As soon as your account is activated, you can add multiple vehicles to your account for which you can pay your parking fees through your mobile by sending an sms. * Only Dubai private registered cars can use this service without registering. It really is that simple. You just park your car, send an SMS message in a pre-defined format to 7275 (PARK) and you will receive your virtual permit via SMS with your parking details. Our parking attendants will be able to validate your parking details via their mobile devices. You will not be issued with a paper ticket but our parking attendants will be able to check your parking via their mobile devices. 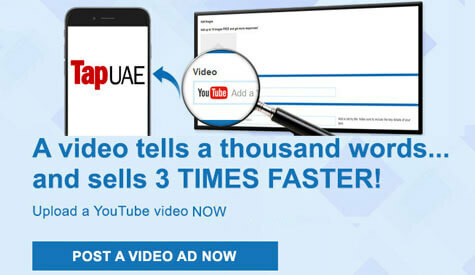 You must be holding a valid UAE registered mobile number from Etisalat OR Du. If you are a pre-paid (i.e. Pay as you go) mobile user then please ensure you have sufficient balance to purchase the virtual permit or else you will receive an error message highlighting " Transaction Failed ". All users with non-Dubai plate numbers needs to register in order to be able to use the mParking service. To purchase a virtual permit using your mobile phone you need to send a text message in the exact format as illustrated in the user guide below. wrong message format will lead to rejection of the transaction. User will be charged a transaction fee of 30 fils for each SMS sent to 7275 (PARK). In case of time extension the system will automatically calculate the second tariff step and the user will be charged accordingly.